I’m the blogger behind Smart Living Mama. I’m also the blessed wife of David and busy mama to our four amazing kids — Nathan, Matthew, Ava, + Eliana (“Ellie”). I work at home part time in the mornings before my kids wake up for the day, and then, fueled by prayer and coffee, I spend the rest of my day homeschooling my kids, keeping the household running as smoothly as I can, and of course, blogging here at Smart Living Mama. The love of my life is my amazing husband, David. He is my heart, my best friend, and my biggest supporter. He’s a faithful man of God and a prayer warrior. David was the one who introduced me to Jesus, and my life has never been the same. We met at work in early 2002, and we quickly became friends as he spent the next few months teaching me a Bible study. By the end of the year, I had fallen in love with the Lord…and eventually fell in love with David as well. We were married in the summer of 2004 and I thank God every day for bringing this man into my life. We found out we were expecting our first child on Valentine’s Day in 2008, and our first son, Nathan, was born that fall. Our second son, Matthew, came fast and furious in the spring of 2010. Three years later, in the spring of 2013, I gave birth to full-term twins – one boy and one girl. We welcomed our daughter, Ava, into the world minutes before our son, Logan, was delivered stillborn. The devastating loss of our son rocked our world and tested our faith, but God carried us through and enveloped us with His comfort and peace. At the end of 2014, the Lord blessed us again with our precious “rainbow baby,” Eliana. Our hearts are full and we are so thankful for the way God has kept us and has been so good to us. The Bible says that every good gift comes from above (James 1:17) and that children are a gift from the Lord (Psalm 127:3). We are so grateful for the precious children God has blessed us with. Like many other stay-at-home moms, I had struggled through the various sleep-deprived stages of motherhood. I’ve suffered through sleepless nights, breastfeeding struggles, teething babies, potty training toddlers, and ruthless tantrums. Of course, I’ve also experienced the joy and love being a mama to four little ones brings. Even though my heart has always been full, I had found myself struggling through the days – trying my best at working harder in order to accomplish even the bare minimum of tasks, only to eventually realize that giving it all to God and submitting and surrendering to His will was the only way to break free from the vicious cycle of stress and overwhelm. I learned that prioritizing the most important things and working smarter — not harder — would be the key to a happy, thriving household. 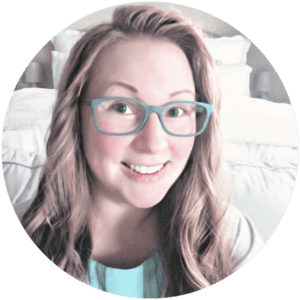 If you are new here, then I invite you to check out this page to learn more about my mission here at Smart Living Mama, and to discover my best tips for simplifying everyday mom life. I absolutely love writing and I feel blessed to be able to use this blog as a creative outlet where I can share everything that’s swimming around in my brain! I’ve learned so much over the years in regard to motherhood — and my kids keep me on my toes, always teaching me more! I’m so thrilled to share it all here, with you. When I’m not “mommy-ing” or blogging, I enjoy cooking and finding new recipes to try, curling up with a cup of coffee or tea and my Kindle, chatting about all things Disney with my sister, spending quality time with my family, and Bible journaling. I’m basically just a mom, very much like you, who is winging it at life and simply trying to do better as I know better. I don’t ever pretend to have all the answers or to portray my life as something that’s picture perfect with no struggles. We ALL have struggles, no matter where we are in life. The key is to give it all to the Lord. To let His grace wash over us and be made perfect in our weakness. (2 Corinthians 12:9). I am definitely a work in progress – spiritually, mentally, physically, and emotionally. I strive to be the best wife and mother I can be, but I often fail. I am so grateful for the grace, mercy, and love of the Lord (and my family) as I try to be my best version of myself each and every day. The Bible says that I am fearfully and wonderfully made — quirks, and all! — and sweet mama, the Creator of the entire universe has fearfully and wonderfully made YOU as well. So embrace your struggles, your strengths, your weaknesses, your triumphs, and your failures. Give yourself a bit of grace in this season of your life, and come join me on this crazy, blessed, and quite often messy life called motherhood! PS: I’d love to be friends! Come connect with me on social media — you can find me on Pinterest, Facebook, Instagram, and Twitter. 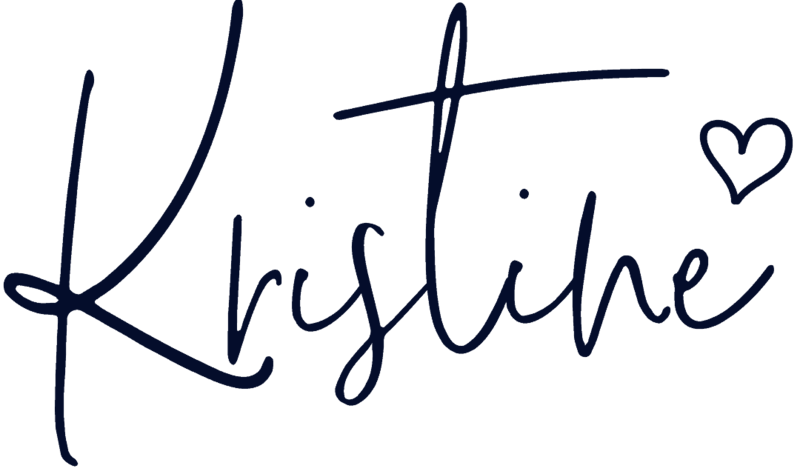 And if you’d like to receive encouraging emails, updates, freebies, and more, then be sure to subscribe to my newsletter below!